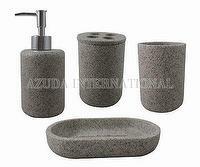 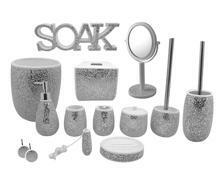 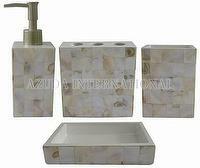 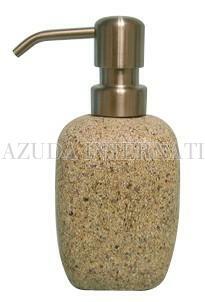 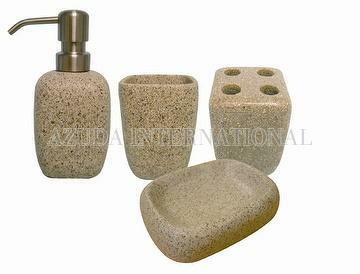 Taiwan Square Sandstone Poly Bathroom Set | AZUDA INTERNATIONAL LTD.
Poly sandstone bathroom accessories include lotion dispenser, toothbrush holder, tumbler and soap dish. 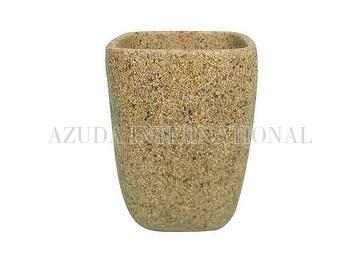 Square shape in natural sandstone color. 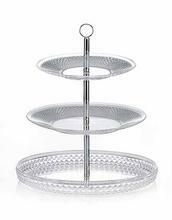 Classical design fits all kinds of indoor decorations.